Looking into short selling your home?! A short sale is an effective option for homeowners faced with financial hardships. There are options in real estate and it may be in your best interest to seek guidance from a real estate lawyer. A short sell, in real estate, is the process through which a lender of a property allows the property to be sold for an amount less than the total amount that is due on the mortgage loan. The short sell process can be quite complicated, and trying to go through this process with your loved ones can be daunting for most homeowners. A real estate attorney is encouraged for those who are considering short selling their home. Additionally, approval from a mortgage lender is needed in order to sell the property to a third party, and a real estate law firm is able to negotiate the sale with the mortgage lender on your behalf. Upon the lender’s approval, homeowners have the opportunity to sell their property at a significantly lower price helping those in hardship. How long does a short sell take? 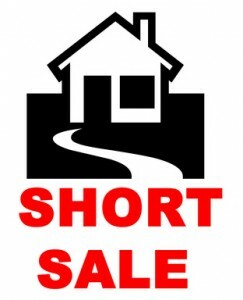 A short sale is a timely process being lengthy and consuming. It must be carried out properly in and legally to be successful. A real estate lawyer will guide you towards a successful outcome to make sure that the necessary documents are processed correctly; to ensure that the short sale is executed to the benefit of their client. If you are contemplating a short sale, or have legal questions regarding a real estate transaction, call Blick Law Firm today to schedule a consultation with Christian Attorney Michael Blickensderfer. This entry was posted in Blog, Foreclosure Defense, Real Estate. Bookmark the permalink.